Hola, #TitasofManila! We found a new place where we can brunch in! 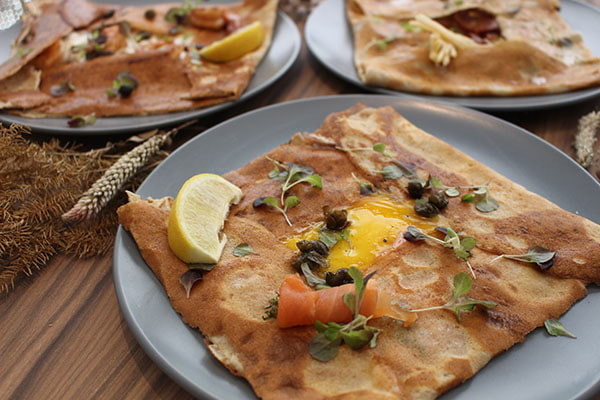 Located right by the Julia Vargas entrance of newly-expanded Podium mall, Ça Va Crêperie & Floral Atelier brings together crêpes, coffee, flowers, and indoor plants in one IG-worthy loft-type space. 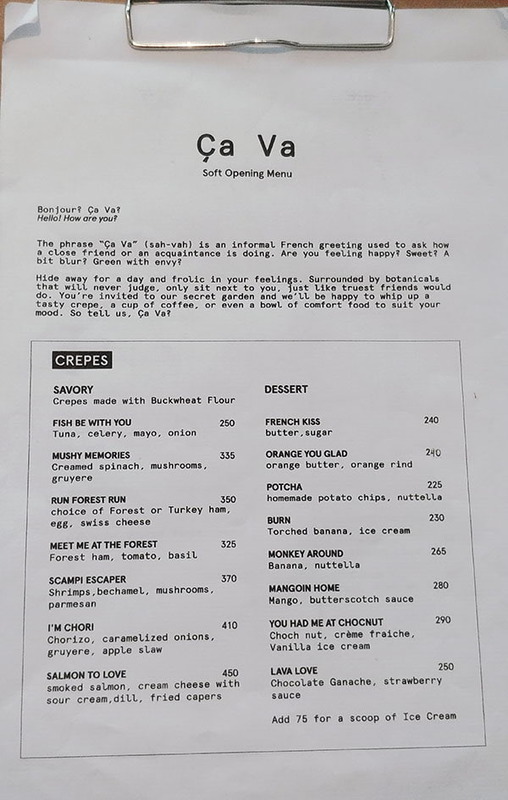 Ça Va (pronounce: sah-vah), which takes its name from the French equivalent of our local “kumusta?,” quietly opened in this side of town last August 8. 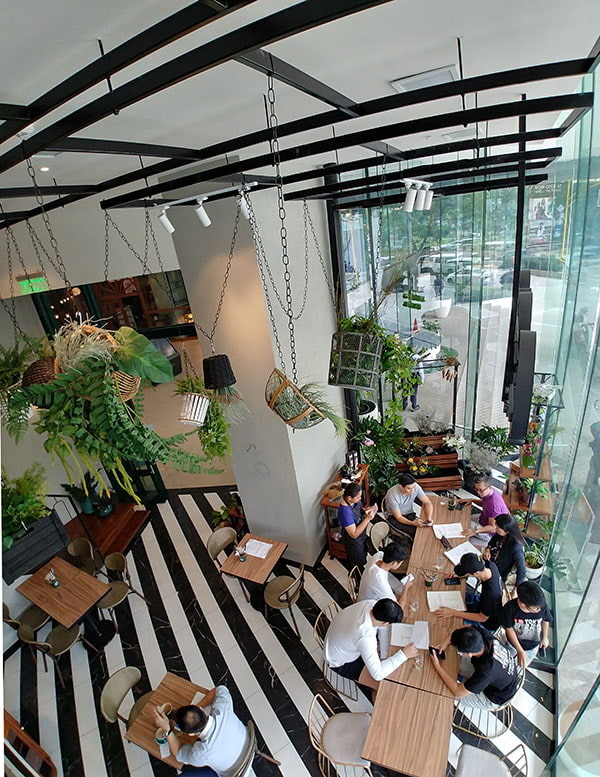 Since then, it’s gained traction as a cozy coffice and meeting place on weekdays, and a brunch and merienda destination for families and friends on weekends. Ça Va is the brainchild of five girlfriends, who are bonded together by their mutual love for food, travel, lifestyle, and the arts. In charge of social media and marketing is blogger Nicole Ortega, well-followed for her home cooking recipes and Cheese Pimiento spread which she sells in her lifestyle website. 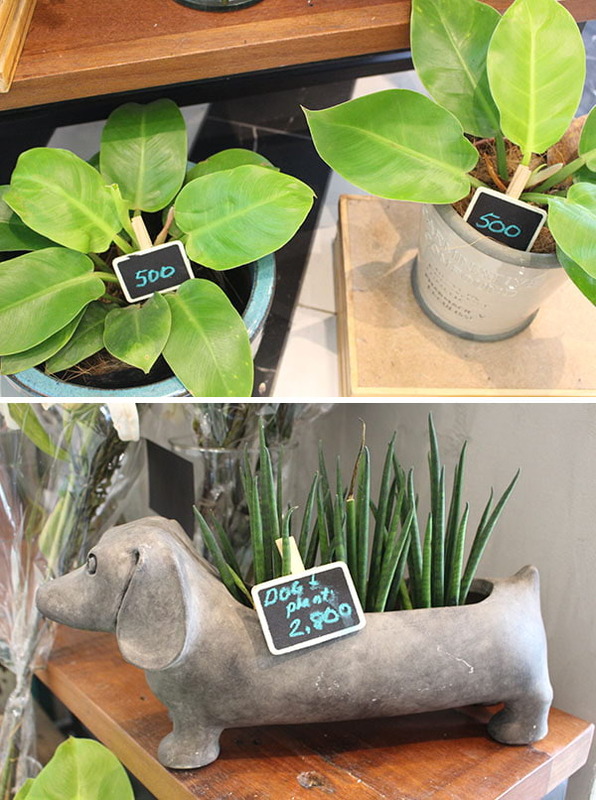 Handling the retail side of the business (primarily the flowers and plants for now) are two of Cura V Lifestyle Store’s proprietors and curators: model Kai Nakanishi Lim and designer Emi Jorge. Ça Va’s coffee offering is quite extensive, thanks to Kim Cuerva, lawyer and wife to Chut Cuerva owner of Toby’s Estate here in the Philippines. And completing the circle is Bianca Pangilinan, wife of Ça Va’s consultant Gilbert Pangilinan chef and co-owner of Cerveseria, Isogi, Kai Restaurant, and Kai Catering. 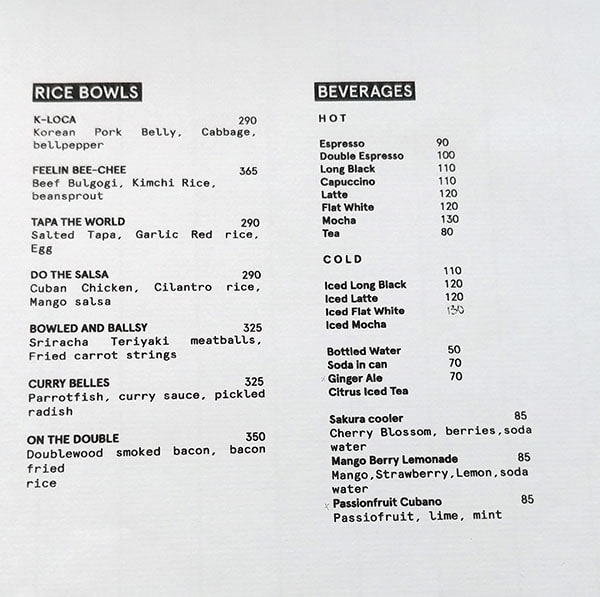 Apart from Chef Gilbert, Chef Ginny de Guzman of Tilde Hand Craft Cafe in Poblacion also had a hand in creating the cafe’s soft opening menu. On why they thought of combining crêpes with flowers, Nicole related that it was actually SM who brought it up with one of their partners. “There was a need for a lifestyle place in this side of the city-- a place where you can eat good food, and buy things for your home like flowers and candles. We were heavily inspired by the French-influenced cafes in Japan. 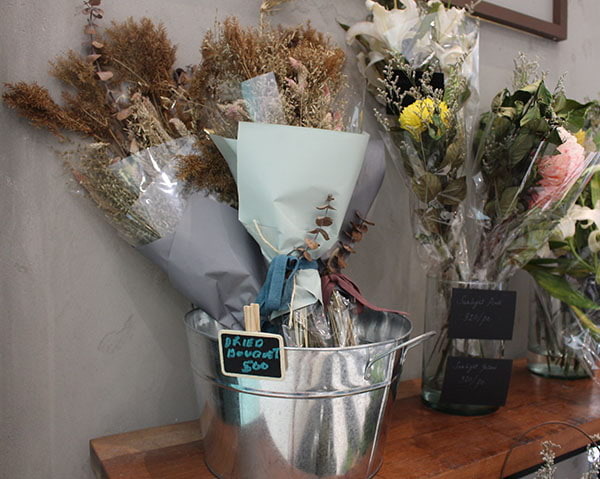 These dried flowers are actually very big there because they tend to last long,” she shared. 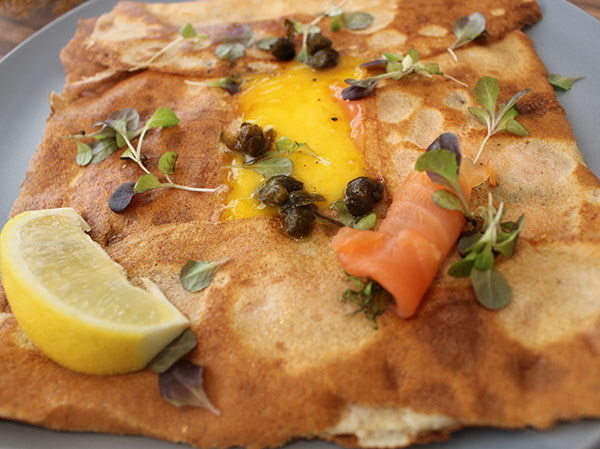 Although crêpes take the lead in their menu, their food isn’t exclusively French. “Comfort food will always be big. We believe in all-day comfort dining,” Nicole shared while she took us through their soft opening menu. The clipboard menu has changed several times since opening. 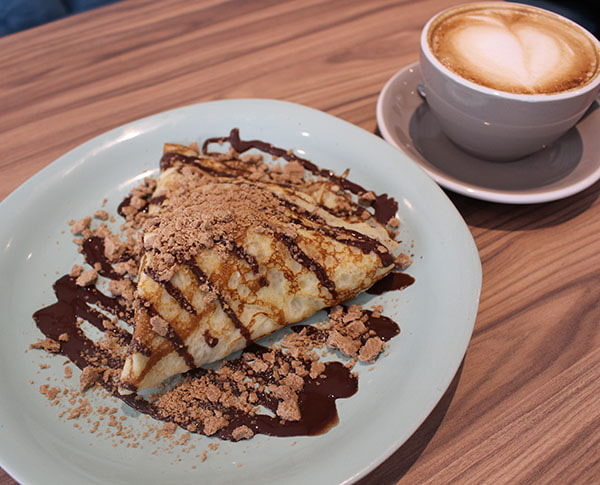 Right now, it’s all sweet and savory crêpes, rice bowls, and coffee. But in the next few weeks, breakfast and soup will be added. “Our food is meant to answer: ça va? or how are you feeling today? We tried to design the menu according to feelings,” she highlighted. 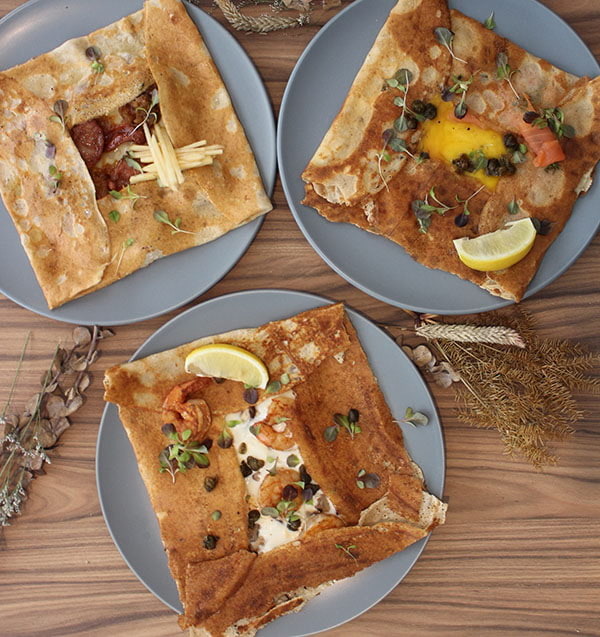 Among their savory crêpes, three have stood out as early bestsellers. I’m Chori (P410), a crowd favorite, perfectly combines flavors and textures of smoky chorizo, mushy caramelized onions, melted gruyere, and crisp apple slaw. Unlike in most chorizo dishes in which the sausage tends to overpower its co-ingredients, I’m Chori is more subtle and balanced. Every chew alternates spotlight among its key ingredients, and this makes it very easy for one to wolf down a plate. 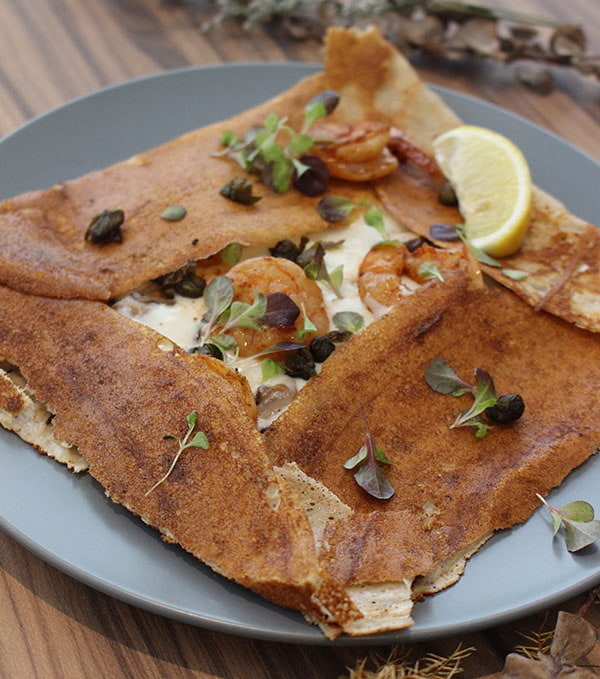 The Scampi Escaper (P370), made of shrimps, bechamel, mushrooms, parmesan is for those who love their food rich and creamy. But just like I’m Chori, the flavors here are well-balanced and with no umay factor, thanks to the generous sprinkling of briny-sour capers and lemon juice spritz. And lastly, there’s Salmon to Love (P450) for those who want the classic smoked salmon, cream cheese and dill combination. 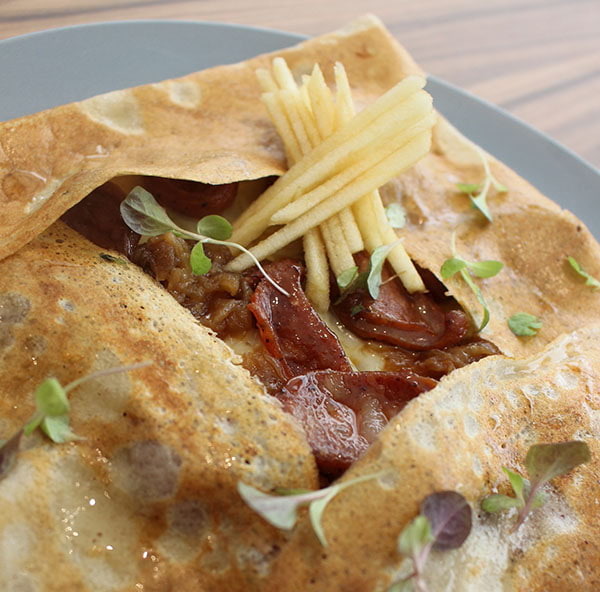 The above pictured savory crêpes are filling enough to fill you at lunchtime. “We always try to use local ingredients whenever we can. 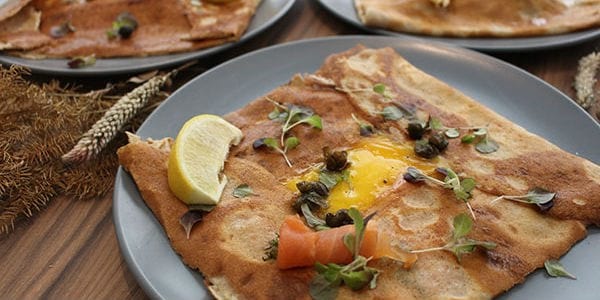 And for these savory crêpes, we use buckwheat flour, which is supposedly the high fiber, high protein healthier alternative to white flour,” Nicole noted. But Ça Va doesn’t discount Filipinos whose motto in life is “kanin is life.” For these carb-loving bunch, they’ve made available quite a lengthy selection of rice bowls. 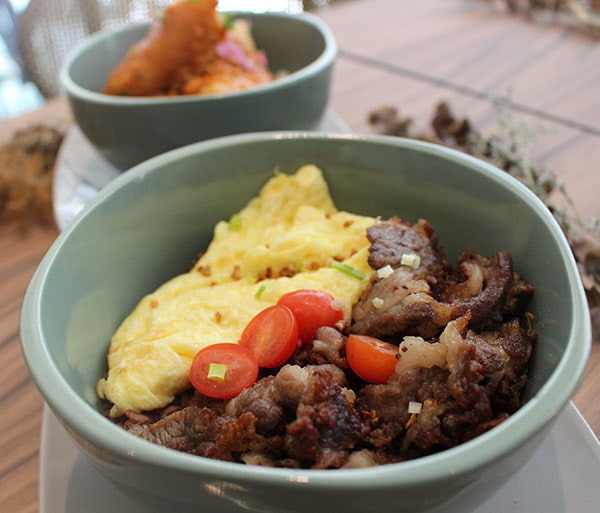 There’s your no-frills go-to all-day breakfast fare: Tapa the World (P290). Tender and just ever slightly salty, the tapa portioning is generous enough to get you through the entire bowl of red rice. 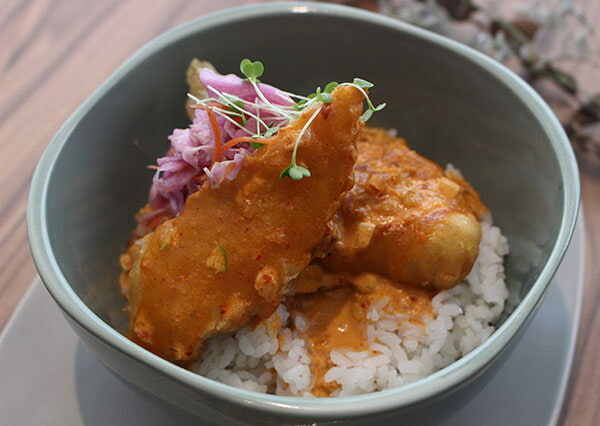 For the ones more experimental, Ça Va tempura'd two big Parrot fish fillets, topped it on Japanese rice, and dredged the entire bowl to with sweet curry sauce to create their cheekily-named Curry Belles (P325). The savory crêpes and rice bowls are such treats, but one should not leave Ça Va without trying the dessert line. 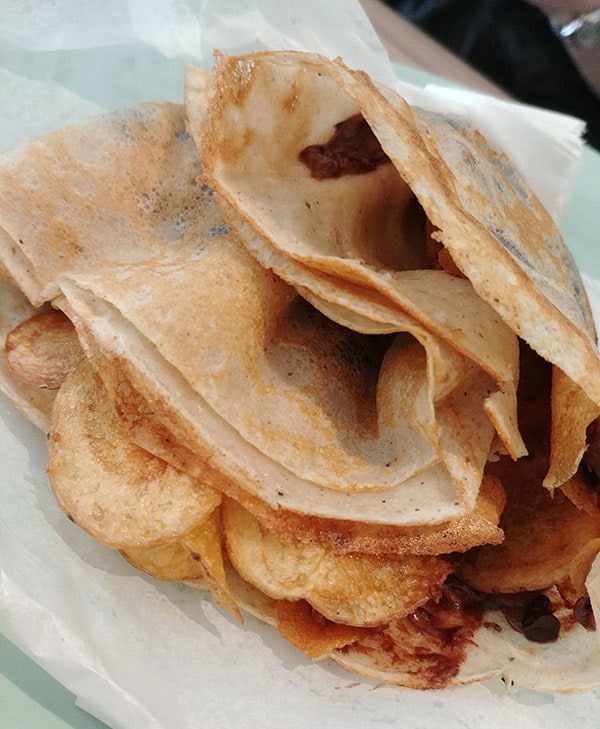 Most-recommended are You Had Me At Chocnut (P290), with creme fraiche and vanilla ice cream and Potcha (P225), made of homemade potato chips, and nutella (option to make it a la mode for P75). 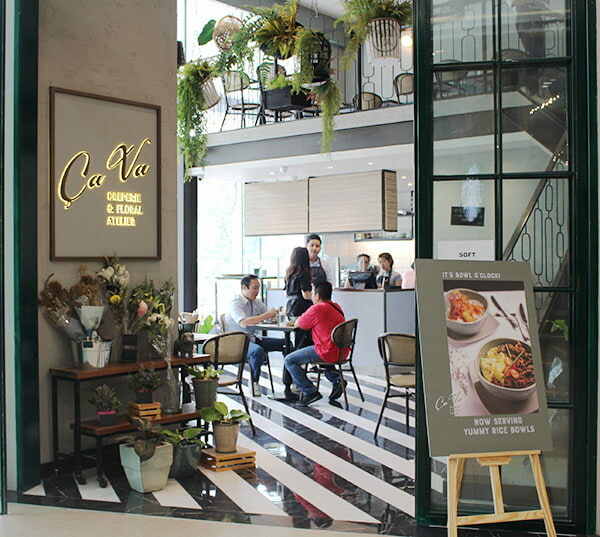 Ça Va is looking at adding more breakfast items, soups, and kids menu in the near future as their weekend family crowd is already starting to pick up. Franchising is also in the horizon but at this point they’re all about acing consistency and flavors. Ça Va Crêperie & Floral Atelier is open for reservations and private functions (we imagine this would be a great venue for baby and bridal showers!). Contact them through (02) 281-6091 anytime from M-Th: 11AM-10PM; F-Su: 10AM-10PM.